Comments are added to various Italeri kits. Updated Resin Kit List: AMC. Comments are added to the Dragon StuH 42. Updated Resin Kit List: MARS, for their latest releases. Product Pictures: Some figure set photographs for CMSC, Martello International and Lamercraft, provided by Jörg Fiedler. Updated Resin Kit List: AER, for their latest releases. New Resin Diorama Manufacturer: YS Masterpieces. New Resin Manufacturer: Model Dream, which produces kits, accessories and diorama items. Updated Accessory List: Black Dog, for their latest releases. New Figure List: Black Dog. Comments are added to the Academy Kübelwagen, thanks to info obtained from Francisco Bexiga. Updated Kit List: ICM, for their latest releases. Comments are added to the Academy Kübelwagen, by Ilian Filipov. Comments are added to the Hasegawa Kübelwagen, by Ilian Filipov. Comments are added to the Academy Kübelwagen, by Rob Haelterman. Updated Kit List: Cromwell, for their latest releases. Updated Figures List: Cromwell, for their latest releases. New Resin Kit List: Big Cat Models. New Diorama Accessory List: Pro-Unit. Updated Resin Accessory/Conversions List: DToys. Updated Resin Kit List: AMC Models. Our server went down for a couple of days, so we feel an apology is in place to all people that have suffered from withdrawal symptoms. We also need to thank Jolyon for the Tech Support that was required to get us back on-line. Updated kit list: Archer Fine Transfers for about a dozen new entries for their latest releases plus previews of sets AR74002W and AR72048W. Comments are added to the Hasegawa Kübelwagen, by Rob Haelterman. On the Way! search, once powered by Google, has now been replaced by the Freefind search engine. We found that the Google search was not indexing our site to its fullest extent and testing of Freefind was much more complete in the results it returned. The location of the On the Way! search on the site has not changed and remains accessible from the menu bar atop of each of our major sections. Comments are added to the Italeri Kübelwagen kits, by Rob Haelterman. "Collective review of (part of) Dragon's Sd.Kfz.251 series", by Rob Haelterman. New Preview: Skytrex Decal sets AD25, AD28, AD29, AD38, AD39, AD76, AD80 and AD81, by Rob Haelterman. New Accessory list: Hunor Product. New Preview: Dragon's two Porsche Jagdtigers (Zimmed and non-Zimmed), by Rob Haelterman, with special emphasis on the type of tracks and the (in)consistencies of the marking options. New Resin Kit List: B.U.M..
New Diorama Accessory List: B.U.M.. Updated Kit List: Euromodel, which is now back in production. to better illustrate the problem with the engine deck on the Sd.Kfz.251/22 Ausf. D kit. Update to the Preview: Milicast Mountain Troops (Handschar), by Paul Provan. New Preview: Silesian Models ADR1 truck, by Rob Haelterman. New Preview: Milicast Mountain Troops (Handschar), by Paul Provan. Rob Tas helps us out with our continuing quest to figure out, once and for all, which Dragon kits were released with the black vinyl tracks and/or diecast hulls, and if any of these were later released with DS tracks and/or plastic hulls. He unearthed some unexpected information about the contents of these kits. Any further info is still very much appreciated. New Preview: Wee Friends Russian WW2 Tank Crew, by Rob Haelterman. New Preview: NH Detail PE set for Revell StuG40, by Rob Haelterman. New Build Review: RPM Aufkl.Pz.Wg. P204(f), by Bill Powers. New Preview: Modell Trans Pz.Kpfw.II Ausf.L "Luchs", by Rob Haelterman. Alexander Kolesnyk adds his comments to the PST Howitzer M-30 preview. New Preview: Modell Trans Sherman Parts, by Rob Haelterman. A minor comment has been added about: Modell Trans MTX7201 set "Hängelafette mesh". Updated Resin Kit List: Silesian Models for their latest addition. Updated Accessories List: Modell Trans for their latest addition. New Preview: Dragon Pz.Kpfw.IV Ausf. F1 (F), by Pete Touhey and Rob Haelterman. Stephen Brezinski replaces his article on the AER/Eastern Express/Toga/Cooperative Su-85 and SU-100, by a completely new one. Updated Kit List: B.U.M., for their latest releases. 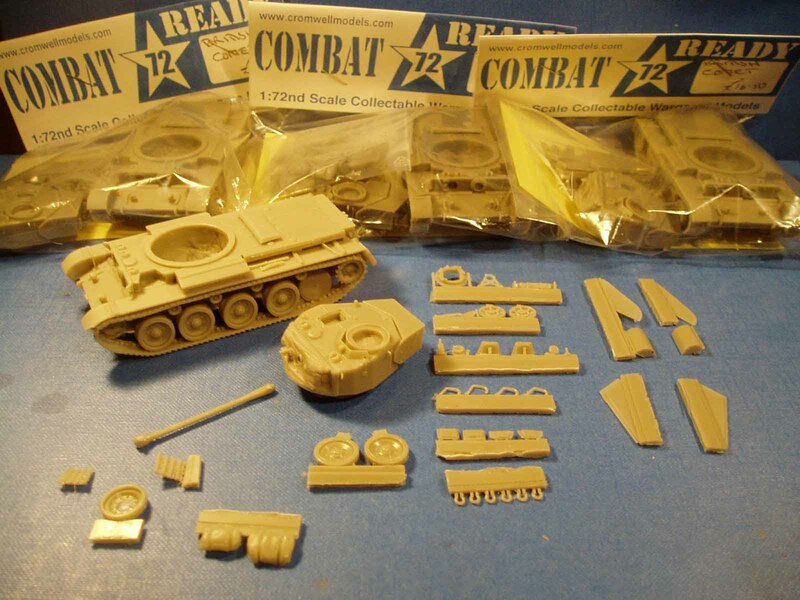 kit 7351 is now added to the "Collective review of (part of) Dragon's Sd.Kfz.251 series", by Rob Haelterman. Unfortunately, the remaining kit is not in our possession, so we would like to make an appeal to fellow modelers who can help us fill in that one remaining gap. A blatant error regarding the mufflers of the Sd.Kfz.234 was discovered in the review of Italeri's Sd.Kfz.234/3, by Rob Haelterman. The record has now set straight. We are trying to figure out, once and for all, which Dragon kits were released with the black vinyl tracks and/or diecast hulls, and if any of these were later released with DS tracks and/or plastic hulls. Any info will be much appreciated. Updated Kit List: IBG, for their latest releases. With much fanfare and press coverage, the OTW admin team would like to introduce our newest feature - On the Way! search, powered by Google, and accessible from the menu bar atop of each of our major sections. Have you ever want to know what Doug Chaltry has written for OTW? What about manufacturers of DAF vehicles? Now you can find out about these and and many other interesting tidbits, so let your fingers do the walking through OTW and enjoy! Updated Resin Kit List: MR Modelbau, for their latest releases. Updated Resin Accessory List: MR Modelbau, for their latest releases. Updated Resin Kit List: Fan Kit, for their latest releases. A picture by Henk Timmerman of Stencilit sets 3001 and 3004 is added to the Stencilit page. Updated Decal List: Company B. Another update to the IPMS USA Nationals report identifying a few more attendess at the Braille Scale get-together plus a few of the model pictures. If anyone can supply missing names for the attendee picture or for any of the model pictures please contact the OTW staff at staff(at)onthewaymodels(dot)com or contributions(at)onthewaymodels(dot)com. It would be appreciated! Updated Decal List: Aleran for their latest addition. Updated Manufacturer List: HQ72 diorama items with extensive additions to their line, and we have separated the diorama items from the HQ72 accessory list to make them easier to find. A picture by Elliott Winthrop of Stencilit set 3003 "GB stars, numbers and symbols" is added to the Stencilit page. New Resin Accessory List: Balaton Modell. Updated Resin Kit Manufacturer List: Balaton Modell. New Accessory Manufacturer List: Hippo Models. New Marking Manufacturer List: Stencilit. New Accessory Manufacturer List: AMC Model. New Diorama Accessory Manufacturer List: Goffy Model. New Diorama Accessory Manufacturer List: Zvezda. Updated Resin Kit Manufacturer List: AMC Model. Updated Resin Figure Manufacturer List: Goffy Model. Updated Resin Accessory Manufacturer List: Goffy Model. New Accessory Manufacturer List: ET Model, from China. An update to the IPMS USA Nationals report to add a picture of the attendess at the Braille Scale get-together. If anyone can supply missing names for the attendee picture or for any of the model pictures please contact the OTW staff at staff(at)onthewaymodels(dot)com or contributions(at)onthewaymodels(dot)com. It would be appreciated! Today Stefano Dell'Acqua shows us how he corrected and superdetailed Dragon's StuG IV. We have added Y.C. Wang's comments about the misaligned sprocket teeth on both the Dragon and Esci/Italeri King Tiger kits to their respective Kit List pages. Updated Kit List: Kora, for their latest releases. Updated Kit List: UM, for their latest releases. We would like to thank all contributors, past and present, but especially those that answered our call to honor our 10th anniversary. We received a large number of contributions during the month of September, and we are still progressing most of them. Rest assured, even if your article hasn't been published yet, it is the date of submission that makes it eligible for participation in our raffle. Once we get the house in order we will announce the winners. Updated Kit List: Steel Works Accessories , for their latest releases. Updated Kit List: Model Trans Accessories and Model Trans Kits , for their latest releases. Update of the Kagero page plus pictures and comments for Photosniper 23 and 24, by Rob Haelterman. Updated Kit List: RPM, for their latest releases. A preview for Photosniper 17, by Rob Haelterman, is added to the Kagero page. New Resin Manufacturer: Balaton Modell. After a series of articles on the StuGIII, Stephen Brezinski now turns his attention to the Sd.Kfz.251 half track with a comparison between Hasegawa's and Dragon's Sd.Kfz.251/1 Ausf.D. Updated Resin Manufacturer: RetroTracks. Includes a couple of new items from this company, which is actually the RetrokiT vehicle line now under a new name Retrotracks, while RetrokiT will continue as the umbrella name for company as a whole. Updated Kit List: Dragon, for their Panzer IV releases. While I am not 100% certain what exact day I first put the site on-line, I am pretty sure that it was sometime in September of 1999. So I am asking for help from the modeling community in celebrating the site's 10th birthday. The site can't continue to grow without your help. Although we now have three people working on the site's managing committee (well, two and a half, since I do almost nothing), we still need material to post. Since we receive almost no review items from manufacturers, and none of us buy the volume of kits that we used to in the past, we would ask that the site viewers step up with contributed model reviews. We'll take any kind of contribution: construction reviews, in-box previews, gallery entries, research articles, etc. Take a look at our Guide for Contributors, and you will see it is quite easy to participate. All it takes is a good camera. I also want to reiterate a point mentioned in the Guide: don't worry if your English is not fluent. We are more than happy to edit your reviews for you. I really want to encourage contributions from modelers all around the world, and also of all skill levels too. In order to encourage contributions, I have decided to hand out a couple of prizes. I will keep the names of all contributors who send in reviews to OTW during the month of September. At the end of the month, I will randomly draw the names out of a hat for the winner of the prizes. One drawing will be made for each of the following categories: Gallery, Construction Reviews, In-box Previews, and Articles, so there will be four winners. You can have your name added multiple times into the drawing by sending in multiple contributions. However, in order to spread the wealth, each contributor can win in only one category. But sending in multiple contributions will still increase your odds of winning. A note about OTW emails: We recently had some trouble with our email addresses. We received absolutely no email between late April and late July. If you had sent us an email in that time period, and not received a reply, please resend it. We are almost certain that the email is working correctly now, but if you don't get a reply to any email (even an acknowledgment that we received a contributed article), please post a note on the Braille Scale modeling forum at Missing Links, and one of us will see it and investigate the problem. So get writing folks! Let's see how much we can grow the site in September. A preview for Photosniper 20, by Rob Haelterman, is added to the Kagero page. Additional info and pictures for Quartermaster's Depot decal set 72020. Previews for Photosniper 15 and 16, by Rob Haelterman, are added to the Kagero page. Updated Kit List: Armory figures, for their latest releases. Kit List Update: a couple of new entries for Wespe Models accessories. Kit List Update: one new entry to the MACO kits for their new sWS with 3.7cm Flak 43. Kit List Update: a few new entries for Matador Models accessories. Kit List Update: one new entry to the Miniart diorama items. Updated Manufacturer: Italeri, for their release of the PzKpfw II Ausf.F and for their diorama items. Updates for Armory: accesories, kits and the new line of figures. BP Resin Zimmerit - Universal "Waffel Muster"
BP Resin Zimmerit - Universal "Standart Muster"
New Kit Manufacturer: Pobeda, from Russia. New Kit Manufacturer: Fan Kit, from Rumania. Updated Manufacturer: Ace, for their latest releases. Updated Kit Manufacturer: Italeri, for the their release of the Esci M3A1 Scout Car. New/Updated Kit Manufacturer: Dan Models, from Romania. This company is the former Detail 72 and Miniatur Models manufacturer. Updated Kit Manufacturer: Brach Model. Updated Kit Manufacturer: IBG to include their four new versions of the Chevrolet C15A No.13 truck. New Resin Accessory Manufacturer: S.B.S. Model, from Hungary. New Resin Kit Manufacturer: DreamModel, from China, which produces at the present time a set of PLA airfield ground vehicles. New Plastic Kit Manufacturer: Hobby Boss, from Macau, China. New Resin Conversion Kit Manufacturer: Lonewulf, from the UK. New Resin Kit Manufacturer: Fairy, from Japan. New Decal Manufacturer: Veteran Model, from Taiwan. New Plastic Kit Manufacturer: ACE Corporation, from South Korea. From what little info we have on this manufacturer, we know that it is not related to Ace (Ukraine) and it appears that their kits are knockoffs of Revell offerings, though we have no idea yet of their quality or how close they duplicate the original Revell molds. New Decal Manufacturer: Kagero, from Poland. Updated Kit Manufacturer: Italeri, for their Fast Build series and their new AB43, plus their re-releases of the ESCI Bishop Mk.I and Panzerjager I 4.7cm PAK. New Accessory Manufacturer:DToys, from South Korea. Update to the Construction Review for the RPM Panhard 178 family , by Al Magnus, to add the Sp.Pzw. P204(f) mit 50mm KwK L/42 variant, kit no. 72303. A brief review and a picture of sets 72014 and 72015, by Rob Haelterman, have been added to the Black Lion Decals page. Updated Manufacturer:Italian Kits Armor 72 (for E393N Aircraft Direction Finder trailer & Viberti 1100 Ambulance), plus their new line of accessories. New Diorama Manufacturer:MiniArt, plus a review of their East European Village House by Jeff Hamblen. Links related to the article on the UM Pz. 38(t) Series by Rob Haelterman, have been repaired. Updated Accessories Manufacturer:Atak Model, to add resin zimmerit offerings for Hasegawa Jagdpanzer IV L/48 or L/70. An error in the parts description for the various "Stuka zu Fuss" variants offered by Dragon has been corrected in the "Collective review of (part of) Dragon's Sd.Kfz.251 series"
The article on the Attack Pz. 35(t) Series by Miro Baric, has been repaired. Stephen Brezinski adds another chapter to his "All things Sturmgeschütz" series, with an article on how to build Finnish Sturmi Ps531-17. Rob Haelterman adds comments about Almarks sets T3 and T11, with a picture of the latter. Updated Kit List: Ukrainian Models Military Technics (aka UM) (added T-90 Soviet anti-aircraft tank). Manufacturer Update: For MGM. Numerous new kits and a new list for their line of figures. Manufacturer Update: For AP Models. A complete overhaul of the lists for their product line, which includes kits, accessories, figures, and diorama items. Due to the large amount of changes it may be that some items were missed. If anyone should have additional items to add please email us with the information. New Diorama Accesory Manufacturer: Jadar, with a preview of set 72004 by Rob Haelterman. New Diorama Accesory Manufacturer: Super Euromodeller. Al has been able to dig out more info about Microscale, while Rob gives a preview of 6 of the sets, with a picture of each sheet. Updated Kit List: Profiline (Steyr 1500 Radio and Ambulance trucks). New Plastic Kit Manufacturer: Profiline, from the Czech Republic. Rob Haelterman gives a preview of 6 of the Almarks sets, with a picture of each sheet. Updated Kit List: Academy (added U.S. M977 8×8 Cargo Truck). The latter two are vintage decal sets, of which we have found little info. Modelers who know more are invited to share their knowledge. Updated Figures List: Solfig Solfig figures. There were two missed items from the April 23 update. New Resin Manufacturer: Solfig figures and diorama items. Updated Kit List: Ukrainian Models Military Technics, formerly known as UM. New Decal List: Echelon Fine Details. New Decal List: Company B, with some comments about some of the sets. Construction Review: Italeri Camionetta AS 42 Sahariana, by Al Magnus. Milan Vins contacted us to point out that we had missed quite a number of the Tracks & Troops offerings. These have now been added: kits, accessories and decals. Updated Kit Lists: Volkspanzer Models kits, Schatton Modellbau accessories, Schatton Modellbau kits and WSW Modellbau kits. Tony Ivey kicks of a series of quick inbox previews, starting with Attack's Kugelpanzer. New resin kit lists: MN65 kits kits and MN65 accessories. Updated Kit List: Tracks & Troops. Construction Review: Trumpeter Char B1 bis, by Al Magnus. Updated Lists: Propaganda Kompany kits and Propaganda Kompany figures. NOTE: According to the Propaganda Kompany web site, they will be ceasing production of their 1/72 scale AFV resin kits by the end of 2009. Stocks will be allowed to deplete and no new castings will be made. Updated Lists: MR Modellbau Accessories, MR Modellbau Kits and Modelltrans Accessories. Updated Kit Lists: PN Sud Modelisme and Profi-Kit. Updated Figures Lists (Thanks once again to Peter Vonderstein for the updated material): CMK Figures; El Viejo Dragon Figures; Goffy Figures; MIG Figures; Preiser Figures; and Warriors Figures. 02 April 2009: I didn't pay attention yesterday, when updating the DOC model kit list. Some plastic items inadvertently made it into the kit list for resin items. This is now rectified and all DOC lists have been updated and a new one added. Updated Kit List: DOC resin Models, DOC plastic models, DOC figures and DOC decals. New kit list: DOC accessory items.